OXNARD, Calif. (July 25, 2014) — The Collection at RiverPark is excited to present the fifth show in its summer concert series, “Rock The Collection,” this Saturday, July 26, from 6-8 p.m. at Collection Park. 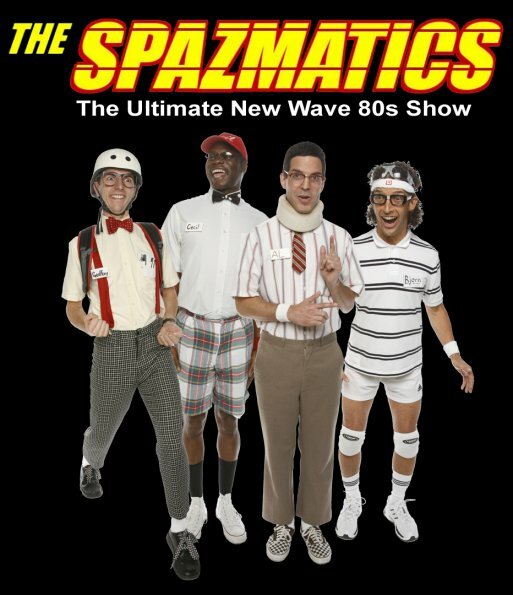 This Saturday’s show will feature The Spazmatics, an 80’s cover band. The concerts, which are free and open to the public, run every Saturday through Aug. 30. The Spazmatics were born in the spring of 1983 when physics teacher Kevin Stigwood of Alta Dena High in Thousand Oaks lost a debate over String Theory to an upstart pupil in front of the entire student body and faculty. As agreed to by both parties, the loser would have to do anything that the winner demanded, and the victorious prodigy demanded that Mr. Stigwood perform “She Blinded Me With Science” by Thomas Dolby during half-time at an upcoming state basketball championship game. Having no musical background and desperate to not go down in total humiliation, Mr. Stigwood formed The Spazmatics by tapping the genius of electronics teacher Sydney Balderman (AKA “Syd Sonic”), who had achieved international acclaim in 1981 for his invention of “robot drums.” When Balderman explained that most of the music could be generated by computers, and that all he needed was a couple of decent musicians to complete The Spazmatics, Stigwood was ecstatic. To make The Spazmatics complete, Stigwood brought in his special needs brother Curtis on bass, and teacher’s assistant Rusty A. Woosmeir (AKA “The Raw”) on guitar. When The Spazmatics took center court that evening, members of the hip elite began heckling them with jibes of “geek” and “nerd,” while everyone else howled with laughter. But once they broke into the opening salvo of “Science,” the nonbelievers were stunned by the group’s authenticity of production, world-class musicianship, and tight choreography. The Spazmatics’ performance came to a climax when Stigwood grabbed one of the cheerleaders and began doing the “Belinda” up and down the court with her in tow. When it was all over, the crowd rose in a standing ovation, and The Spazmatics were born.